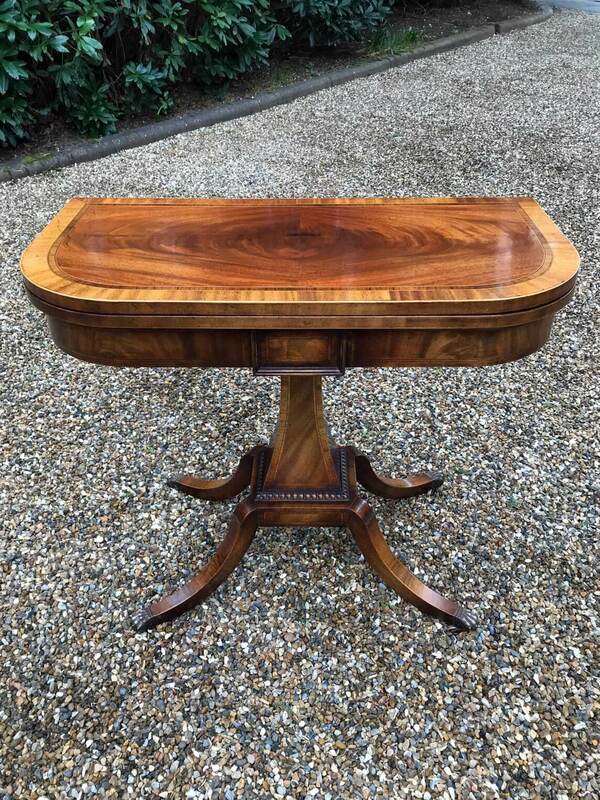 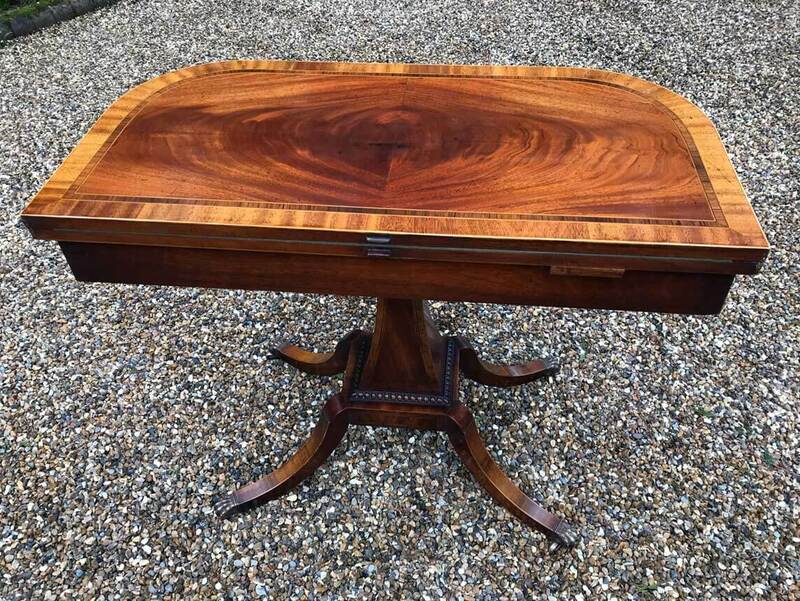 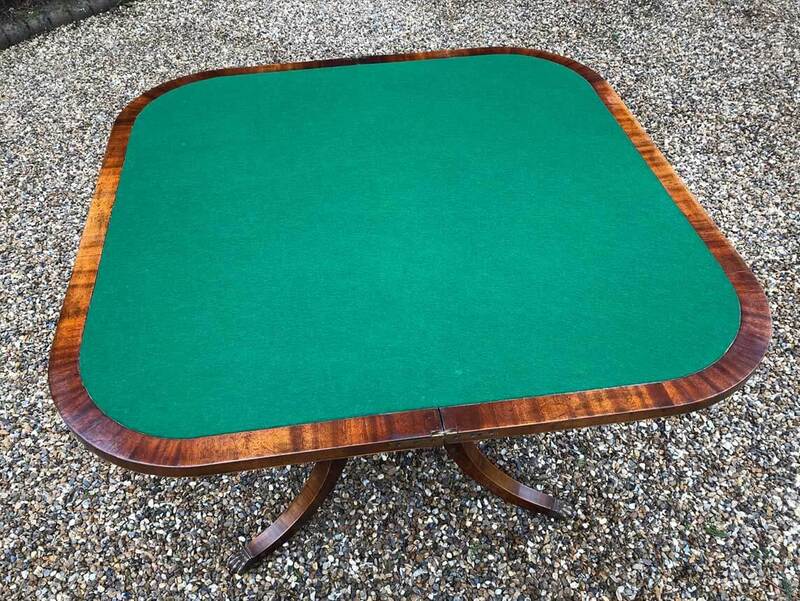 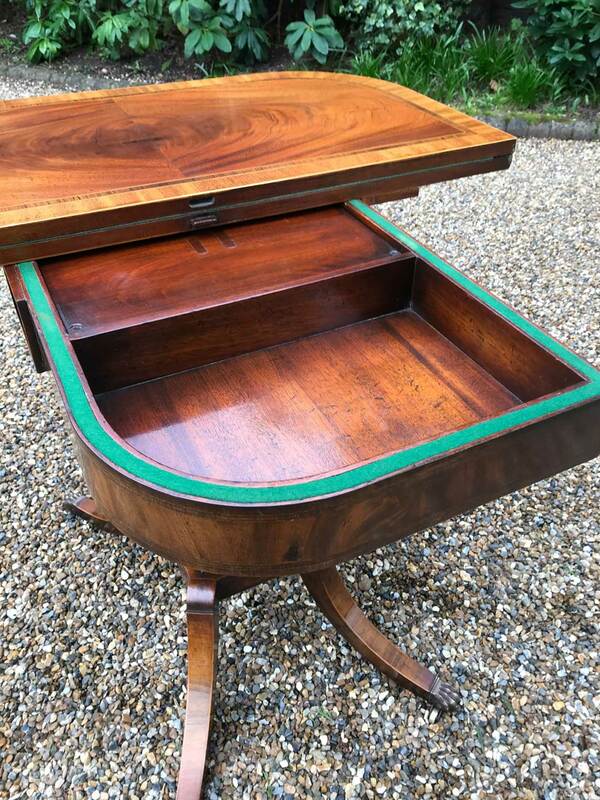 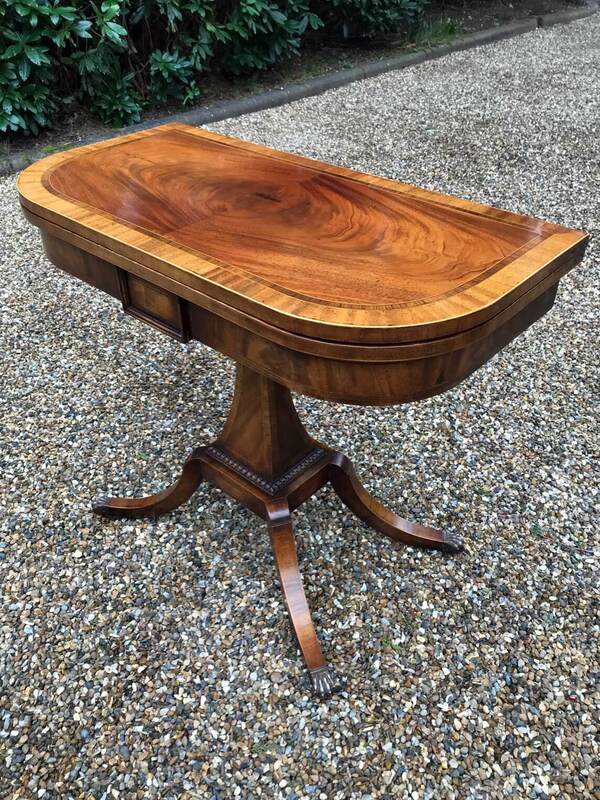 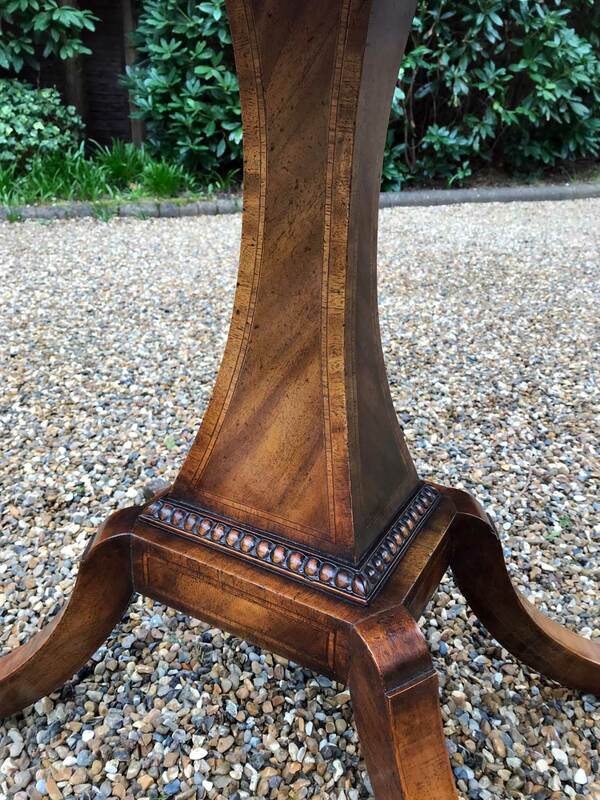 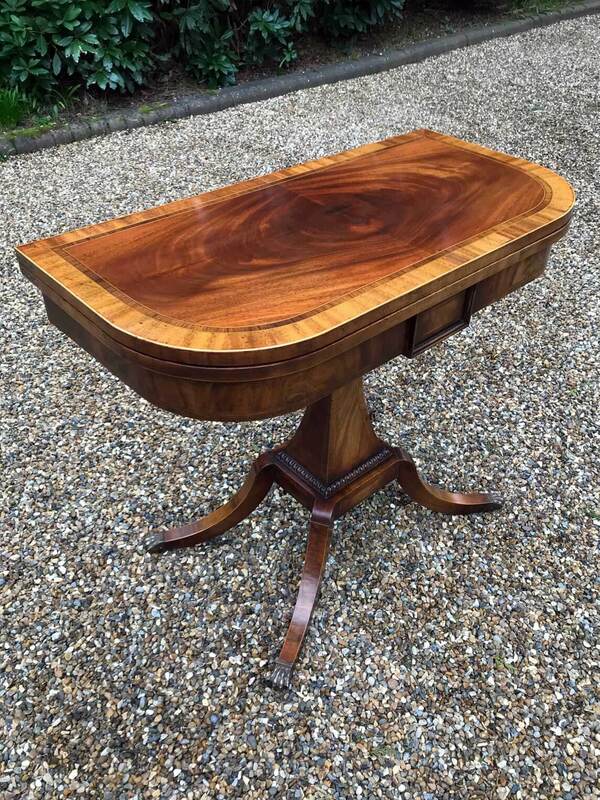 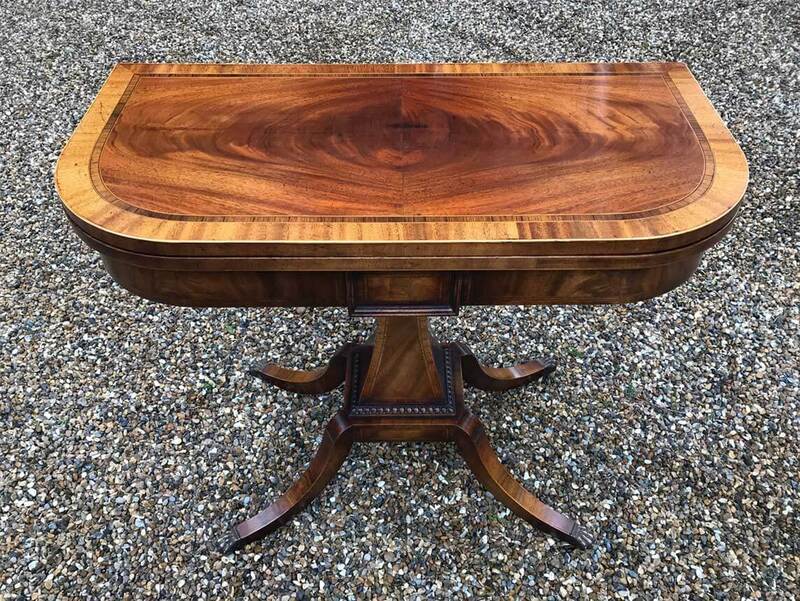 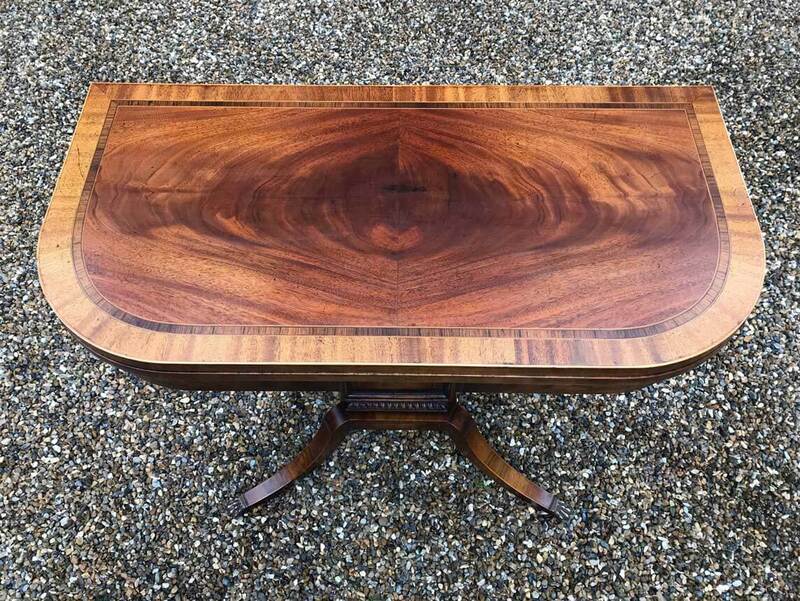 An original 19th Century Regency Inlaid Crossbanded D Shaped Mahogany Card Table with baize interior. 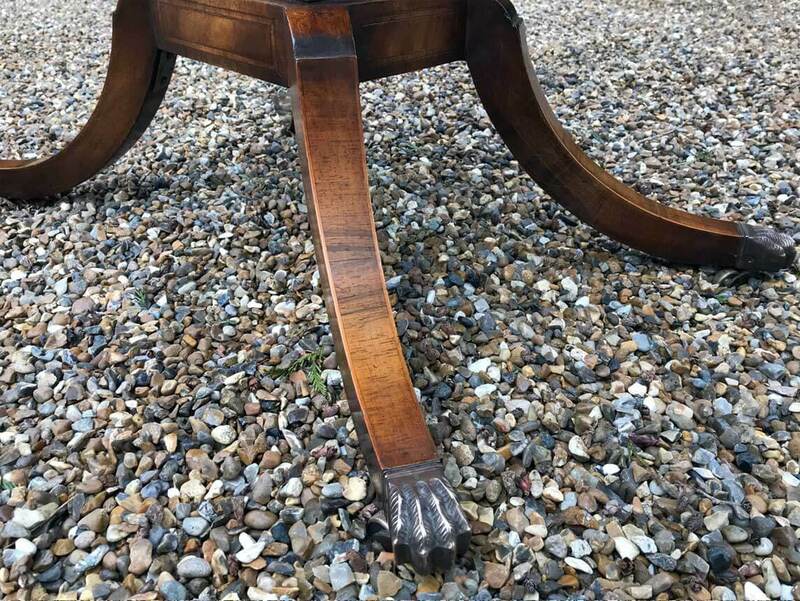 Raised on a tempered chamfered column and splayed leg supports ending with brass claw feet and castors. 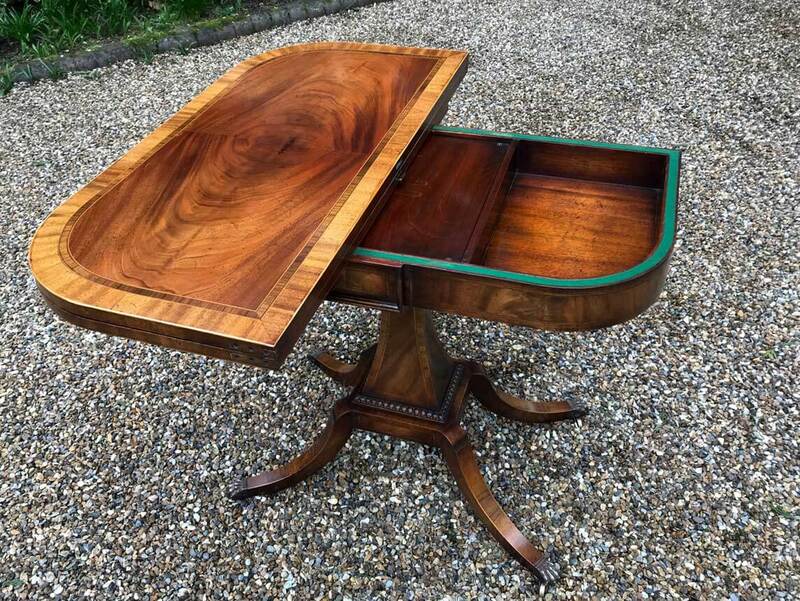 The top swivels open to become a card table.